Home / Nutrition / Fish / Is Shrimp Healthy While on a Diet? In terms of nutritional quality, shrimp can be part of a healthy diet. It is a good source of selenium, protein and low in calories and fat. Shrimp is one of the top seafood choices in the US along with salmon and canned tuna. Shrimp is low in calories, virtually fat free, high in protein and a good source of minerals. Shrimp is relatively high in cholesterol, but dietary cholesterol is not related to heart disease risk for most people. 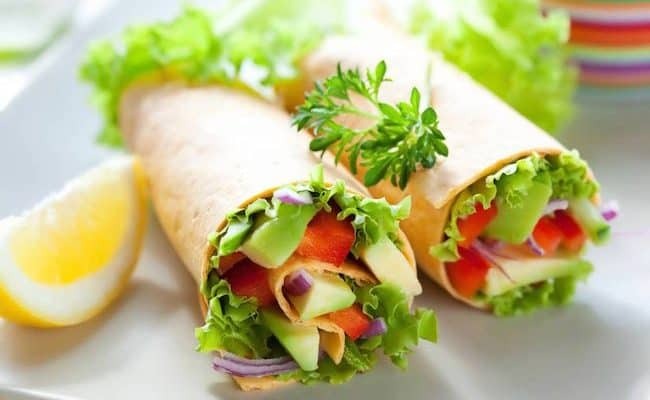 So, from a nutritional stand point, they can be a part of a healthy balanced diet. However, when considering what shrimp to eat or how much, you may want to consider other factors besides the nutrition label. In the US, more than 90% of shrimp is imported from different countries. There is a concern that some countries that farm raise shrimp have harmful practices that may damage the environment and may cause the shrimp we consume to have potentially harmful by-products. There is even a concern that farming practices may impact wild shrimp contamination. The inspecting of shrimp is low; some estimates suggest less than 10% of shrimp that comes into the US is inspected for harmful compounds. Shrimp can be part of a healthy diet, but it is advised to consume shrimp in moderation and purchase shrimp that is sustainably sourced when possible. Shrimp is one of the leanest protein foods. A 100 gram serving provides about 100 calories, less than 1 gram of fat, less than 1 gram of carbohydrate and 24 grams of protein (48% DV). Just over 100 gram serving, 4 ounces steamed, provides more than 100% DV for the mineral selenium. Selenium is needed for thyroid hormone metabolism, DNA synthesis and can act as an antioxidant in the body (1). Besides selenium, shrimp also provides a source of B vitamins, phosphorus, choline, copper, iodine, magnesium, calcium and potassium. Is the cholesterol in shrimp bad? Consuming foods high in cholesterol, like shrimp and eggs, has been associated with increasing risk for cardiovascular disease in the past. However, recent research suggests dietary cholesterol is not associated with increasing risk. A 2015 review (2) with 40 studies concluded dietary cholesterol was not associated with coronary artery disease or stroke. Does this mean you can consume as much dietary cholesterol as you want? Health experts still suggest consuming dietary cholesterol in moderation and eating a diet balanced with fruits, vegetables, whole grains, legumes, lean proteins and heart healthy fats. How to determine if shrimps are healthy? How is the shrimp prepared? Shrimp by itself is a low calorie high protein food. 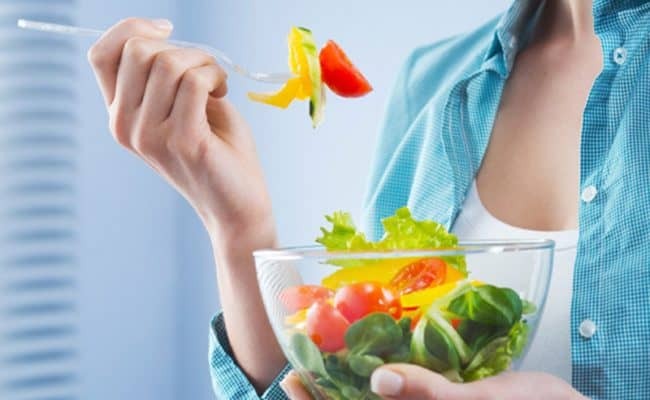 Eating foods low in calories and high in protein can be beneficial for weight loss. However, it’s important to take into consideration how the shrimp is prepared. For example, if shrimp is breaded and fried, the calorie content goes up to 242 calories for a 100 gram serving which is more than double the amount of calories shrimp cooked from steaming or boiling. Don’t want to eat boiled, plain shrimp? Lightly sautéing shrimp with a heart healthy oil can provide a little more flavor. Adding in herbs and spices while cooking can also increase the flavor without adding a lot of empty calories. Sautéing with colorful vegetables can also add a depth of flavor, texture and nutrition to any dish. Be aware sauces can be a sneaky source of added sugar and can surprisingly be high in calories. Where is the shrimp from? Another consideration for gauging if shrimp is healthy goes beyond the nutritional fact label. Another consideration is where is your shrimp from? A Consumer’s Report found 60 percent of over 300 samples of frozen shrimp tested positive for Salmonella, Vibrio, Listeria, or E. coli (3). Traces of antibiotics were also found in 11 of the samples of raw, imported shrimp. Why would shrimp contain traces of antibiotics? Farmed shrimp can be raised in cramped spaces, and antibiotics can be given to shrimp to limit the spread of diseases in farmed shrimp colonies. Giving antibiotics to shrimp is considered illegal in the US, but other countries may still do this. Because so little samples get inspected, it can be easy for contaminated shrimp to enter the food supply in the US. How can you choose shrimp with lowest risk for bacteria or antibiotic residue? 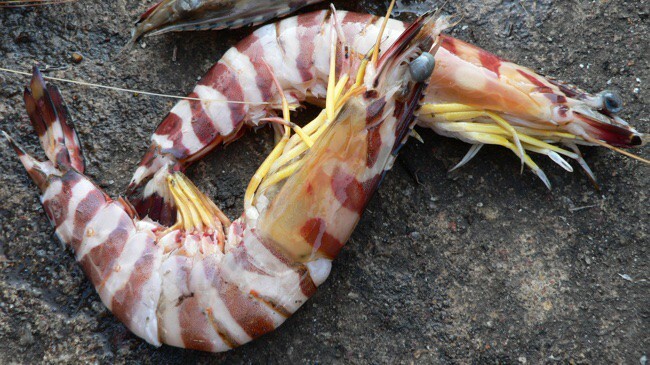 Choose wild caught shrimp for lowered contamination risk. Food Safety News suggests raw, wild caught shrimp from the US and Argentina had the lowest bacteria levels from this study. The Monterey Bay Aquarium Seafood Watch (4) also gives recommendations for the best sources of shrimp. 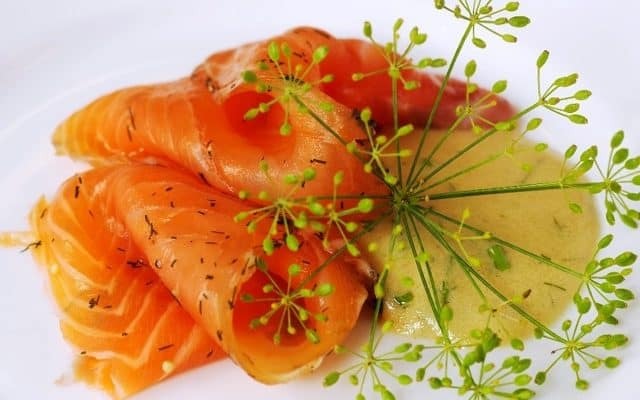 In general, shrimp farmed in ponds in the US, Canada, Central and South America are considered best choices for seafood along with wild caught shrimp from the US. There are also eco certifications you can look for on packages of shrimp. These certifications suggest sustainable fishing practices are in place that limits destruction to natural water and eco systems. Examples of labels to look for include: Naturland, Aquaculture Stewardship Council, or Whole Foods Market Responsibly Farmed. Another consideration when choosing any seafood is where it came from and how was it caught? Most shrimp in the US is imported from Asian countries. Some studies have found shrimp farmed in other countries may contain levels of bacteria or antibiotic residues. If you consume shrimp that has bacteria in it and you don’t cook it to the proper temperature, eating it could make you sick. If you want to consume shrimp with a lowered risk of bacteria, antibiotic residue and is environmentally friendly, look for labels on packaging suggesting sustainable practices and where the shrimp is from. Be aware the term “natural” does not have any significant meaning on food packages. 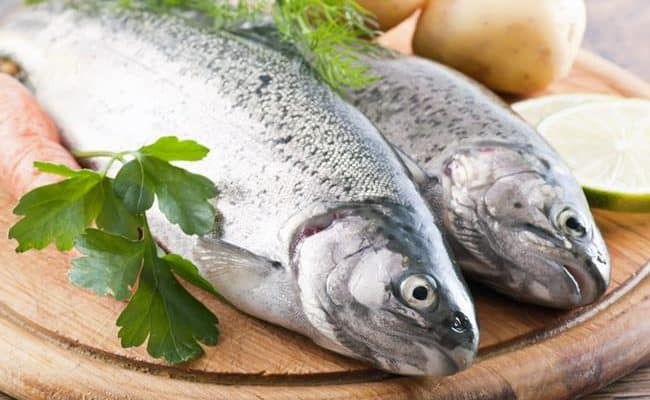 Is Salmon Healthy to Eat Every Day? 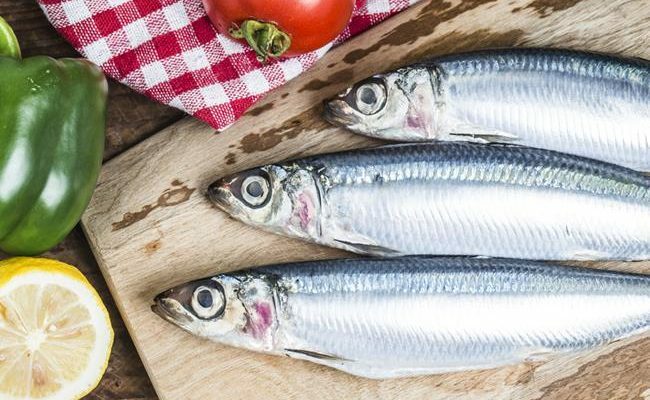 Is Raw Fish Bad for You or Is It Safe to Eat? Is a Vegan and Vegetarian the same thing? Which one are you? 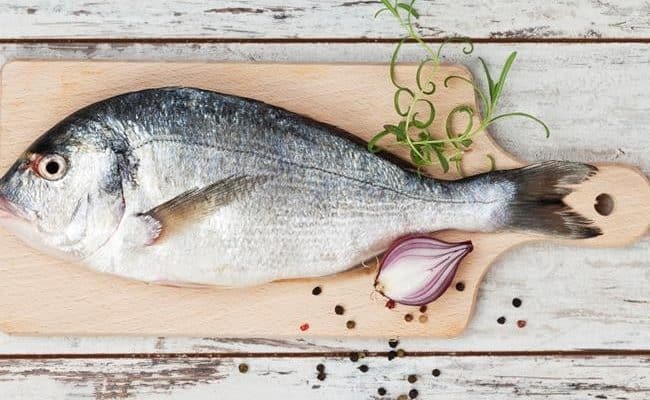 What is a Fish Diet and is it Good or Bad? 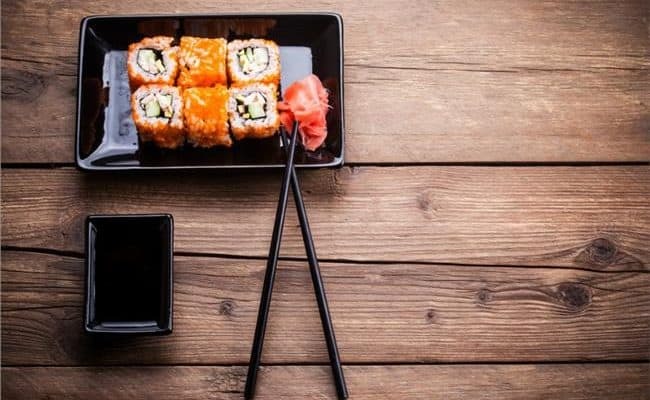 Is Sushi Good for Weight Loss? Is Fried Fish Healthy or Fattening? Does a vegetarian diet increase life expectancy?